The time has come for me to pass the colors. 14 years after founding IAVA in my tiny studio apartment in New York City, it’s time for me to step down as the leader of our incredible veterans empowerment organization. I will transition next month to focus on new creative endeavors – including a second book, launching a podcast and leading other to-be-announced media projects. I will also continue to actively serve on the IAVA Board of Directors. Outside of building my family, founding and leading IAVA has been the greatest honor of my life. And all our groundbreaking work has always been a team effort. I’m humbled and grateful to have served alongside so many inspiring colleagues, partners and IAVA members to create and grow a new model for impact. And alongside so many of you. Together, we have defined the national dialogue for a new generation of veterans, changed countless lives and positively impacted history forever. From the passage of the new Post-9/11 GI Bill, to the repeal of “Don’t Ask Don’t Tell,” to the Clay Hunt Suicide Prevention for American Veterans Act, to the creation of the Rapid Response Referral Program, to the IAVA/NBC Commander-in-Chief-Forum, to serving as the watchdog on countless issues like the recent shutdown, we have always had the back of veterans and led the way for a new generation. We jump-started a national movement, empowered a “New Greatest Generation” of leaders and showed the world that veterans are not a charity, we’re an investment. And we’re just getting started. I’ll always be IAVA member #1-and I’m forever grateful for the opportunity to serve this community. After 14 incredible (and exhausting) years, it’s time for me to embark on new endeavors. And the most exciting of all, the arrival of our second son next month. It’s now the moment for a new leader to take IAVA to the next level in it’s journey-and Jeremy Butler is that leader. After a deliberate search, the IAVA Board of Directors voted unanimously to select Jeremy to lead our renowned non-profit veterans empowerment organization into the future. He is uniquely qualified to lead IAVA into next chapter and fight on behalf of all veterans. He is dynamic, tireless, honorable and dedicated. I’ve never seen anyone work harder for his fellow veterans and servicemembers than Jeremy. He is a true patriot and tenacious advocate, who always leads from the front and inspires others. From his service in the Navy, to working by my side for the last three years, Jeremy has always put our mission and our people first. Our veteran community could have no finer a person powering IAVA’s charge into the future than Jeremy. Jeremy joined IAVA in 2015 with over 15 years of experience providing substantive and strategic counsel to leaders in high-profile government and private sector offices, including the Departments of Defense and Homeland Security. Originally from Glenarm, Illinois, he is a graduate of Knox College and the U.S. Naval War College where he received a Master of Arts in National Security and Strategic Studies. He continues to serve our country as a Surface Warfare Officer in the Navy Reserve and previously served as IAVA’s Chief Operations Officer, Acting Chief Development Officer and Senior Military Fellow. Many of you in the veterans community already know him. He’s been all across the country for IAVA VetTogethers and other events in the last few years. Over the last year, Jeremy has led all IAVA internal operations nationwide. Prior to that, his extensive experience at IAVA spanned all aspects of the organization’s work, including leadership roles in communications, finance and development. Jeremy is a well-known and respected voice in the veteran and military community and has regularly served as an IAVA spokesperson at events and in the media. He has also contributed to Fox News, C-SPAN and numerous veteran and military media outlets. And of course, Jeremy is not alone. He is surrounded by an incredibly talented, deep and effective team of leaders that have helped guide our organization to great heights over the past few years. This is an exciting moment for IAVA. We’ve never been stronger and we’ve never been more needed. And I can’t wait to see what the future holds for us all under Jeremy’s leadership. And I will be standing by in service of his leadership and our mission always. I want to thank all you for your faith in me, in our team, and our organization over these last 14 years. From the earliest days, and for so many years. Through our toughest times and our biggest wins. You’ve always been there for me–and for my family. You’ve always had my back. And I will always have yours. And I know I’ll see you down the road again soon. It is truly an honor to be given this opportunity to serve. Since Paul founded the organization over 14 years ago, IAVA has done more to support America’s veterans than most will ever know. It is both humbling and exciting to step in to this new role. I am incredibly thankful to be able to work with the IAVA Board of Directors, staff and members to ensure that we continue to connect, unite and empower post-9/11 veterans everywhere. I’m prepared and ready for the challenge. But our work is always a team game. The amazingly skilled IAVA team and I need you all by our side in 2019 and beyond. Especially as we launch into a historic new year focused on the urgent agenda of our Big 6 advocacy priorities. Please join me this Friday at 12PM ET on IAVA’s Facebook page. 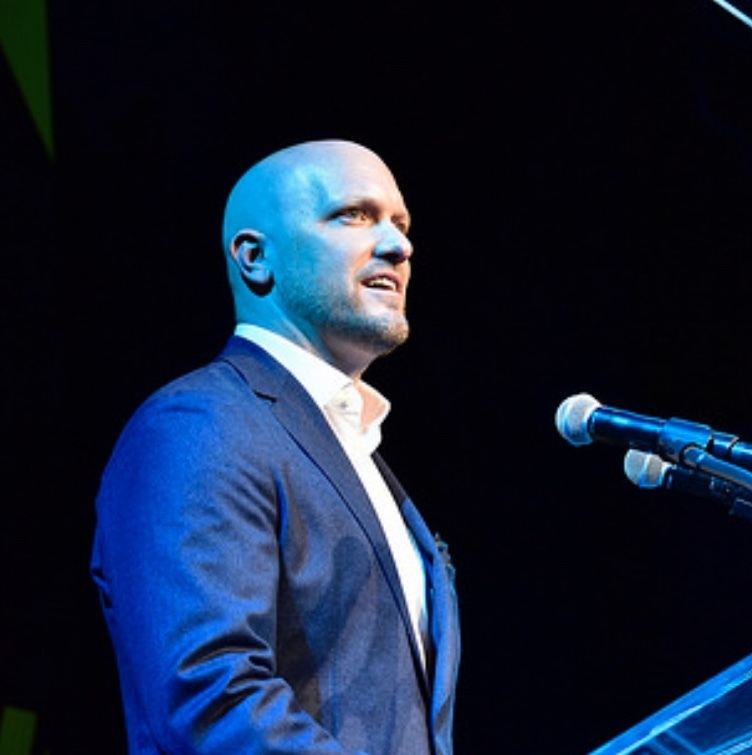 I’ll take the opportunity to tell you a little more about myself, share my vision for IAVA’s future, give you some highlights from our new 2019 Membership Survey (coming later this week), and take your questions. I’ll also be joined by our dynamic RRRP team if you have any issues or questions we can help with after the recent government shutdown–or for any other reason. If you can’t make it, I look forward to staying in touch regularly with all the latest from IAVA and our veterans movement. We’ve got big things ahead. -To see more from IAVA Chairman of the Board and Iraq war veteran Scott Feldmayer and thoughts from Bob McDonald, former Secretary of the VA, click here.